What our customers are saying about our Holiday Cottages In Tirril To Rent. "S147629 stuck out above our expectations. What is a super wonderful and complete house. The lord and lady of the house are very friendly and welcome you very warmly. They are immediately accessible if there is anything further but they do not intrude total. Everything is present in the home of plenty of closet over to a fully equipped kitchen with everything in plural present so you do not miss grabs. One street behind the house is a supermarket with a bakery where you can buy fresh bread every day. 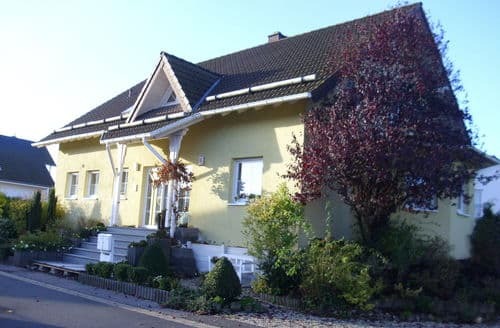 At 10 minutes drive are large supermarkets like Rewe and Lidl. Slanting also is behind the house on the main road an organic shop (wooden chalet) with vegetables and fruit which is very affordable. In the neighborhood you can visit the museum where you can have an afternoon sweet. Please note you must have good mobility. There is also in Kommern an indoor pool with sauna. 40 minutes is the city of Bonn which is a nice city to visit and tour around by foot doen.In many nearby small villages by going to ride and bezoeken.Neem their churches and castles with your teenagers to Mühlenbach The Haus WiFi is super good but make sure that if they look like movie you DVD player with movies with n"
"This cottage and certainly the owners deserve a big compliment. We were warmly received, an earlier arrival time was no problem. It was obvious that they had done everything to bring us a fine reception to bottle spring water and some fruit and goodies was waiting in the living room which vases with flowers. Usually the device say enough about this kitchen is well equipped with plenty of glasses, plates, etc. There was even some spices, coffee and tea in the kitchen cupboards for us. The master bedroom is spacious, excellent mattress and has a large wardrobe, no bulk and so to get rid of your stuff. This bedroom also had the cot with a good firm mattress. (For us just to get used to the small room but was actually fine) The second bedroom has a bunk bed and therefore spacious enough for two children. Adjacent to the living room you had your own private courtyard equipped with garden furniture, parasol and sun loungers. You were / was here wonderfully private. The owners of the garden there is a swing and a trampoline where our daughter played with pleasure. As in previous reviews state the shop is indeed within walking distance, fine pastries as well some small MESSAGES"
"This well appointed (IKEA) property is easily accessible. It is not in Mechernich-town itself, but in Mechernich-OBERGARTZEM / FERME NICHOLSON, a quiet suburb. Very helpful and nice owners. Everything is there (drying rack, extra pans and casseroles). In the small room has a bunk bed instead of a sofa. We have only two minuses. You first need a flight of stairs to the front door and then another stairs to the house, so not suitable for disabled. You certainly en country estate, yet it feels a bit trapped, but very safe for small children. Shopping Kommern is 5 km (LIDL / REWE / DM / Takko / Net Market). The local supermarket is well stocked and is at 06.00 already open for fresh bread. The house is very central for all sorts of activities. 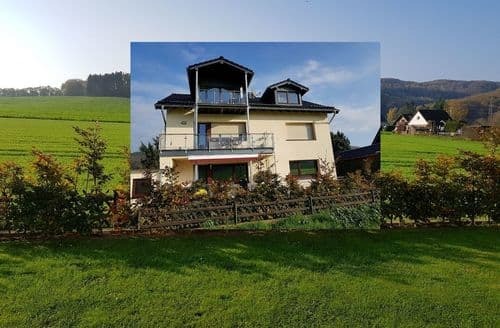 The surroundings are beautiful with stunning views, beautiful castles, activities Outdoor Museum, Mining Museum, Kakushöhle, Phantasialand, day Cologne or Bonn (with free transportation Eifel-Karte) Outlet Centre in Bad Münstereifel (new!) Sommerrodelbahn Eifeltor and wellness Zikkurat with a lovely (warm) pool and much more. Also wonderful (Nordic Walking) walks nearby and nice stop locations hee"
"Pros-Hospitality and information of the owner -. Enclosed terrace in the basement where a child can move freely -. Dishwasher, microwave and wifi is very luxurious - Bright and spacious apartment, despite location in basement -. Modern furniture except kitchen. Negatives-stay in the basement all the luggage and any bicycles, strollers must also come down with a small child and we found it not very useful -. there is only a small supermarket and a bakery within walking distance. For larger messages, visiting other towns, pool or animal actually you always need the car -. Few other tourists in the village and little claim nearby -. The bedrooms are adjacent to the living room. Children who have sleep so hear all the noises from the living (eg when watching TV) -. No Dutch channels on the TV -. Many suffer from insects and spiders in the house partly located in the basement and the fact that we estimate and had many doors open because of the wonderful weather -. Few kitchen supplies enough pans to cook but not to bake (only 1 frying pan, no frying pan, for example)." "The mill was for us a great location to bivouac with four grown children and three dogs. 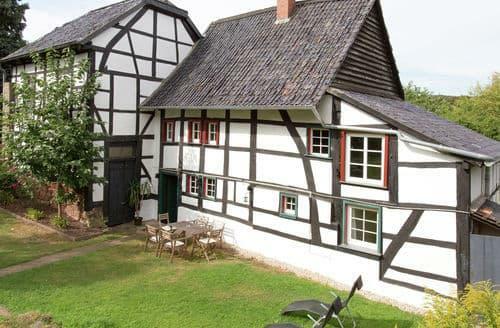 The building still shows his past character beams inside, half-timbered walls outside, but is also nicely renovated to meet today&#39;s requirements although the decor and amenities are somewhat sober. The enclosed garden was fantastic for our dogs, great run loose and are enjoyed outside on the grass, which almost never happens. An absolute must for people with dogs. The location was a convenient base to explore the area, enjoy diverse and peaceful nature, the four children (21-28 years) is mountain biking although lacking marked trails in the area fine. Furthermore, experience culture in the old villages, remains of castles, farms, but also a hydroelectric plant. Also, we can still fine canoeing on the lakes in the area. For us, they were all good reasons to even be able to enjoy this once beautiful, delicate and convenient location. We have already booked for a week in August."